From among the fourteen infallibles, none enjoys as much attention and recognition as the Master of the Martyrs, Imam Husayn b. 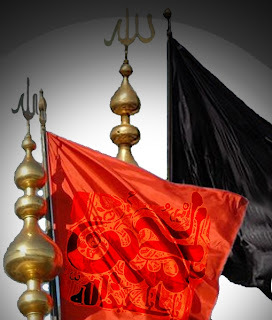 'Ali (as) – not only in his own era, but even in today’s day and age. To understand his significance in our modern era, we need to go back in history to the day he was born. An event which is usually marked with happiness and jubilation, his birth was actually a grief-filled occasion in which his grandfather, the final Messenger of Allah (swt), had to break the tragic news of his murder and the massacre of his family to his mother, Fatimah az-Zahra (as). After lamenting on the heart-wrenching agony which his son (The Qur’an, in Surah Ale Imran (3) refers to the two grandsons of Prophet Muhammad (saw) as ‘his sons’.) will have to endure, the Prophet then guaranteed his daughter that a nation would be brought forth that will mark his martyrdom and shed tears over this loss - and they would be the ‘Shi’a’ of Aale Muhammad. From this premonition given by the Prophet (saw) shortly after the birth of his grandson in Madinah, up until the end of the Imam’s life on the scorched plains of Kerbala some 50 years later, all lovers of freedom and justice have focused their hearts on Imam Husayn’s (as) six-sided sarcophagus (dharih) and have directed their energy and love towards him and his sacred mission. The proceedings surrounding his killing which took place on the 10th of Muharram in the year 61 AH set the scene for great displays of lamentation and sorrow – starting one year after his killing, lasting until today - and it is not only Muslims who hold the martyred Imam (as) in high esteem. Since the massacre of the Imam, his family and friends over 1,350 years ago, the visitation to his grave in the city of Kerbala, Iraq was severely estricted under previous empires, governments and regimes and making the journey meant a severe danger if not loss to one’s life and property. However with the invasion and “liberation” of Iraq in 2003, every year on the day of 'Ashura (the 10th of MuÎarram), over 5,000,000 men, women and children from all over the world converge on this small city – with several thousand walking hundreds of kilometers in a month-long journey, from as far away as Ba‚ra in the south of Iraq to grieve, lament and hear the tragic saga of Kerbala recounted once again – as if it had occurred just yesterday! The Prophet of Islam (saw) and the other Infallibles who make up the Ahlul Bayt have emphasized to their followers to make the trek to Kerbala to pay their respects to Imam Husayn b. 'Ali (as) and for this special journey, numerous forms of ‘greetings’ have been related through reliable chains of narrators. However from all of the methods of greetings for the Master of the Martyrs, without a doubt, the most powerful and potent for awaking the soul and stirring the emotions and enacting a change both internally and externally is that of Ziyarat 'Ashura - and it is for this reason that despotic governments always tried their best to prevent mass gatherings at the shrine of Abi 'Abdillah al-Husayn (as).A passionate discourse between The Creator and His servants with terms of endearment addressed to the infallible Imam (as), this intimate conversation holds a special ranking within the corpus of supplications and visitation literature being that this specific ziyarat is a Hadith al-Qudsi’ or sacred tradition taught by Allah (swt) to His Arch-Angel Gabriel who conveyed it to the Noble Prophet (saw) who continued the chain of purity, being taught to us through the great Shi'a scholars until today.